"Sharavana Namah. I take control of my life by knowing what counts." 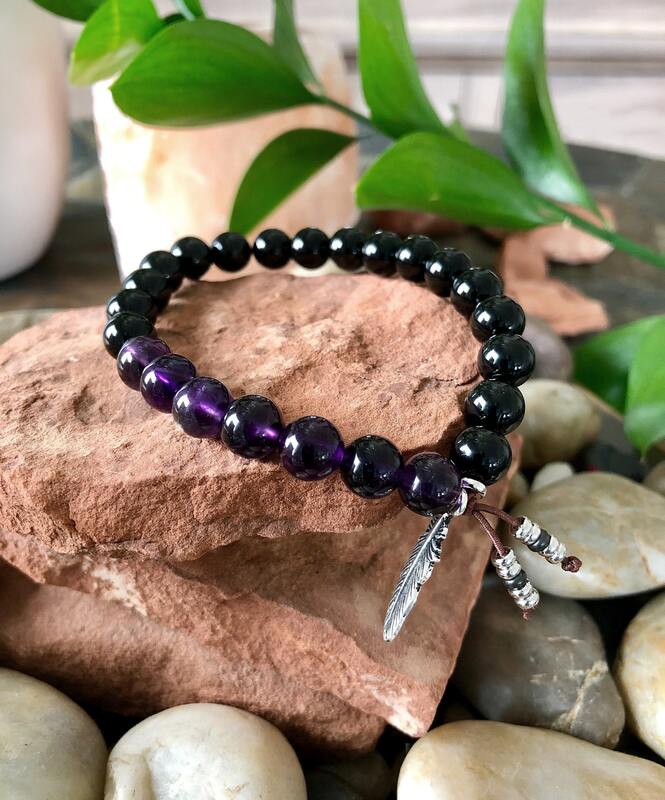 The Men's Recovery Bracelet features stunning AAA grade deep purple Amethyst gemstones along with polished Black Onyx and an antique silver pewter reversible feather charm to bring you strength, protection and courage as you start a new chapter of your life. We included a feather (a universal symbol of angelic presence) as a gentle reminder that you are never alone. Spirit is always with you, guiding you, loving you and protecting you. 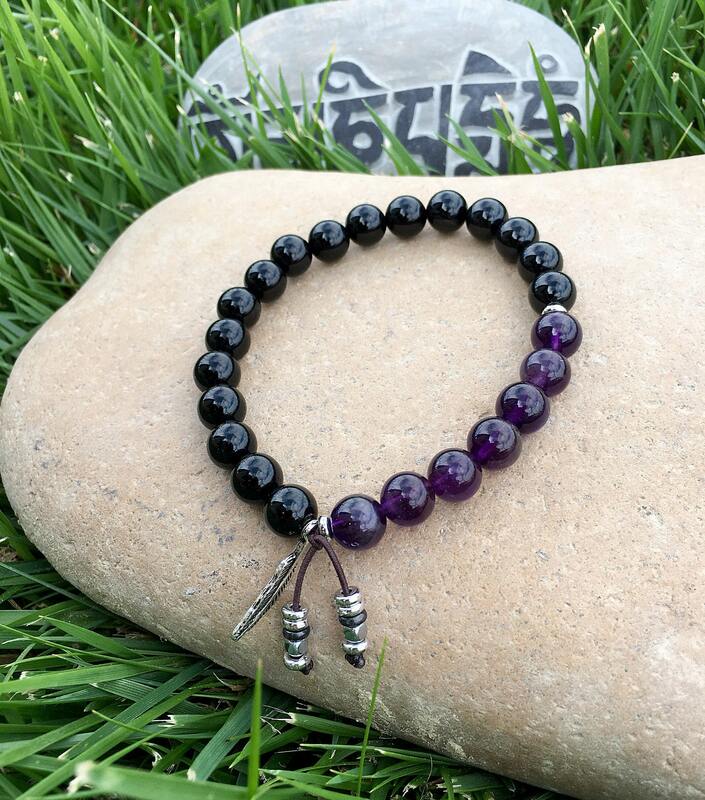 Amethyst is a very powerful gemstone that enhances spiritual awakening and spiritual growth. 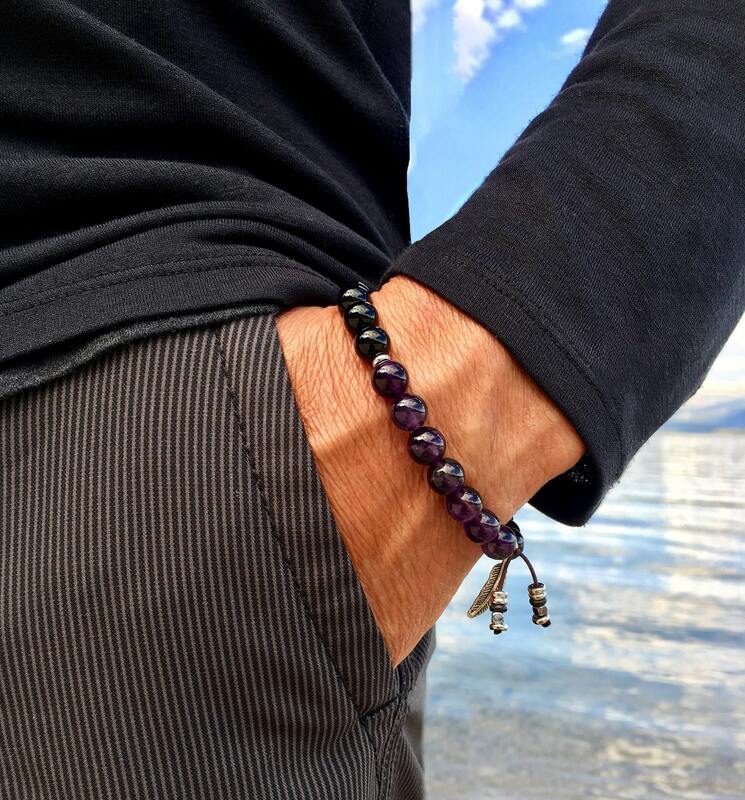 It carries a strong vibration that resonates with the crown chakra, connecting you straight to the Divine. 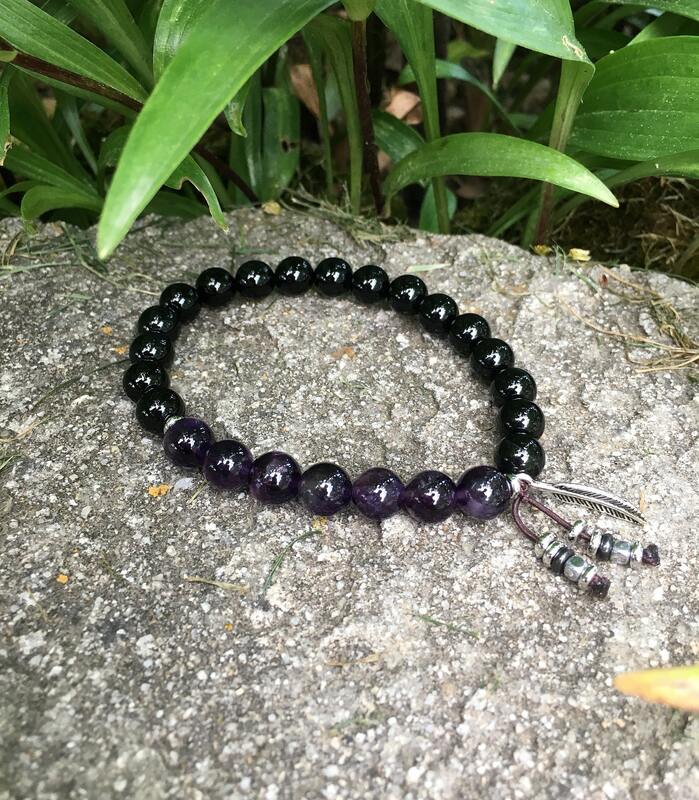 Our ancient ancestors wore Amethyst to relieve anxiety and confusion and to enhance focus, increase intuition, stimulate psychic abilities, and to help them sleep. Wearing Amethyst gemstones can actually build a protective energy shield around the body to protect you from psychic and emotional attack. Amethyst is also known around the world as the “sobriety stone” as it comes from the Greek word “amethusos”, meaning “not drunk”. Many people wear Amethyst for its ability to strengthen resolve and to bring the body back to a state of normalcy and peace. Black Onyx is also an extremely protective gemstone. It prevents the draining of personal energy by absorbing negative energy and transforming it into positive energy. It encourages wise decision making, aligns the Self to a Higher Power, stimulates inner strength, physical strength, self discipline, self mastery and intuition. Black Onyx is an excellent stone to help relieve fears and worries. This purchase was a replacement for a gift also from this shop. Again the quality is superb and the service, as well. Very happy! Love this mala and the personalized service! Many thanks!